13. 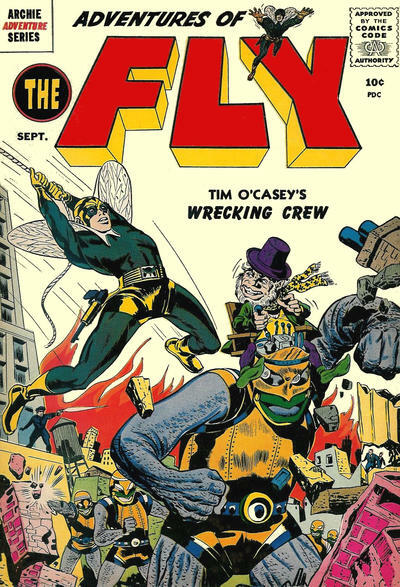 The Fly #2, Joe Simon, 1959. I love bad guys and their minions and this one is right out of my childhood as I used to dream about having a robot I could drive like this little leprechaun fella. 12. 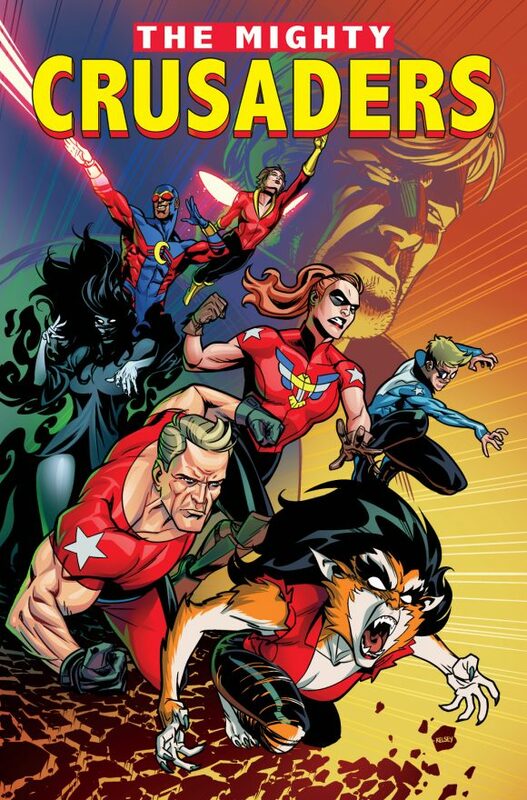 The Fox #3 variant, Steve Rude, 2015. 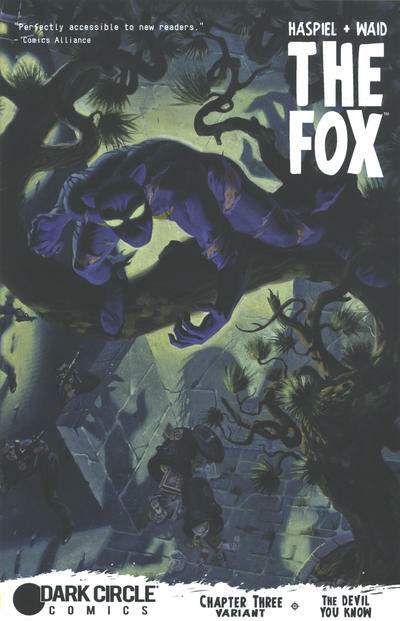 The Fox might be my favorite character from this universe and I really enjoyed Mark Waid and Dean Haspiel’s run on it, not to mention some great covers. This is one by a personal hero of mine, Mr. Steve “The Dude” Rude. 11. The Mighty Crusaders #9, Rich Buckler and Chic Stone, 1984. I get a kick out of these kinds of covers where the public has it out for our heroes. I can’t think of a lower place for a hero to be than to have the people you are trying to help hate your guts. Although when you reach rock bottom, there’s no place to go but up. 10. 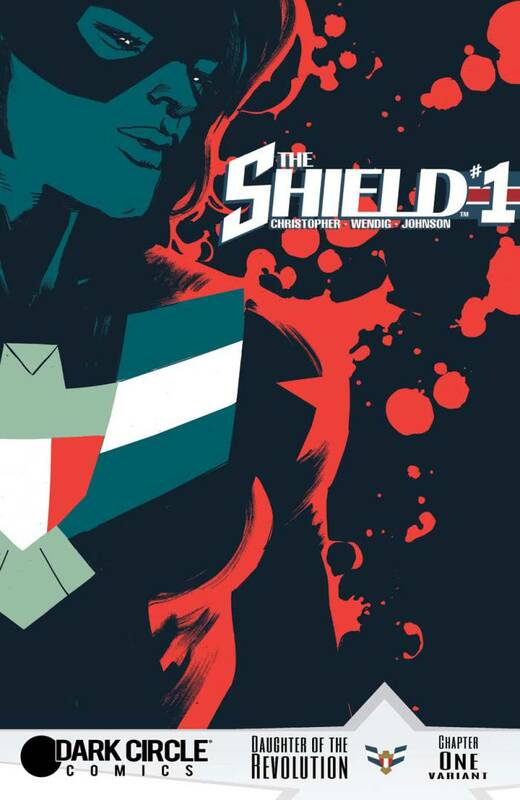 The Shield #1 variant, Rafael Albuquerque, 2015. This cover is a solid piece of design and color. I usually like story covers, but a well designed graphic can be fun. 9. 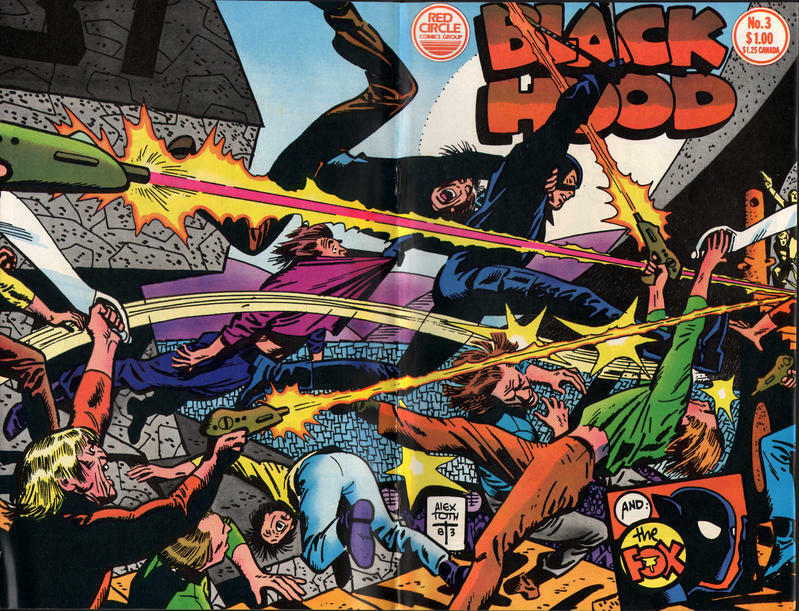 Black Hood #3, Alex Toth, 1983. Like everyone else, I’m a student of the Toth. I particularly like this cover for its sideways action. The left-to-right composition is always fun for me. 8. 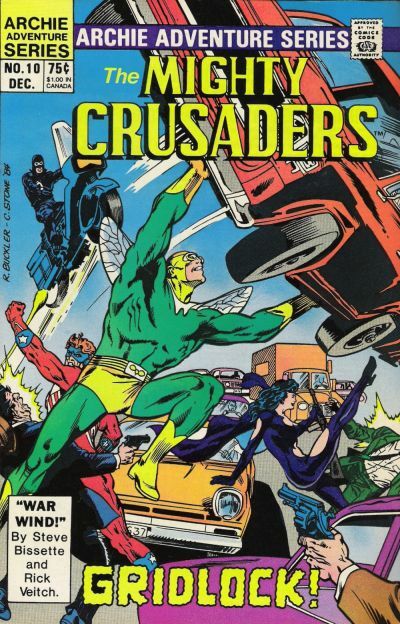 The Mighty Crusaders #10, Buckler and Stone, 1984. Again we have the left-to-right action. The composition, scale of figures and various elements, even the color, converge perfectly to create an image that’s very pleasing to the eye. 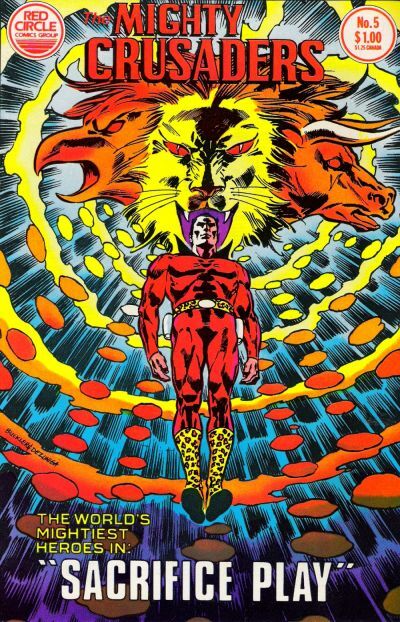 Good old Rich Buckler! 7. The Fox #5 variant, Bill Sienkiewicz, 2015. More Fox goodness by the legendary Bill Sienkiewicz. I have no idea what this image is about but I can certainly fill in the blanks with my own imagination. 6. 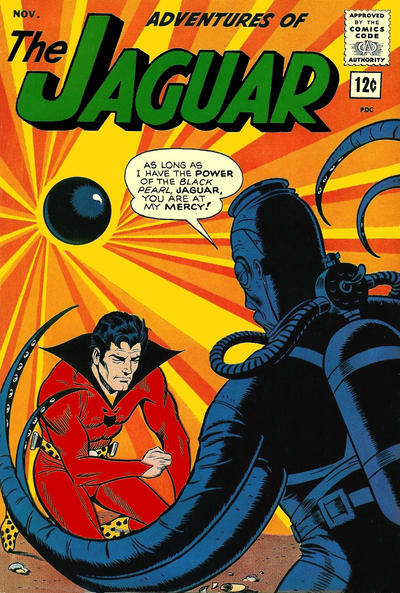 Adventures of the Jaguar, John Giunta, 1963. Again with the wacky bad guys. I love this octopus-looking guy and this black pearl, whatever it is. It all makes for a fun cover design and I want to know more about what’s happening, that’s for sure. 5. The Fox #2 variant, Paul Pope, 2014. I wasn’t kidding when I said the Fox was my favorite. 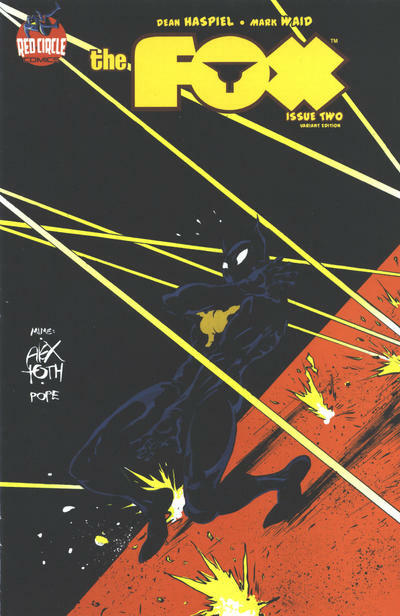 Paul Pope is doing a version of an Alex Toth piece. This could work as a story cover or a graphic. 4. 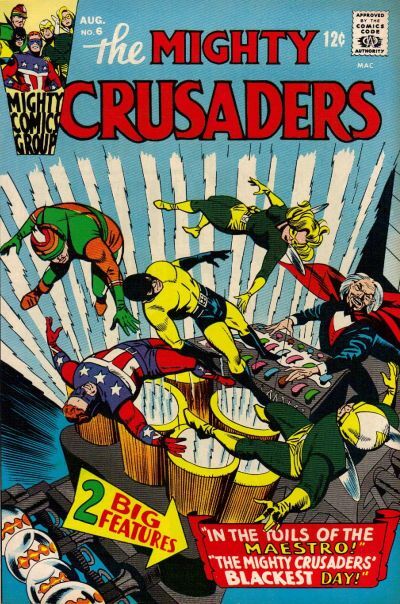 The Mighty Crusaders #6, Paul Reinman, 1966. Now we’re getting to the good stuff! Look at that machine! It’s the Maestro, so I’m sure that’s some kind of low-frequency sound machine delivering the “brown note” to our heroes. So fun! I love this cover! 3. 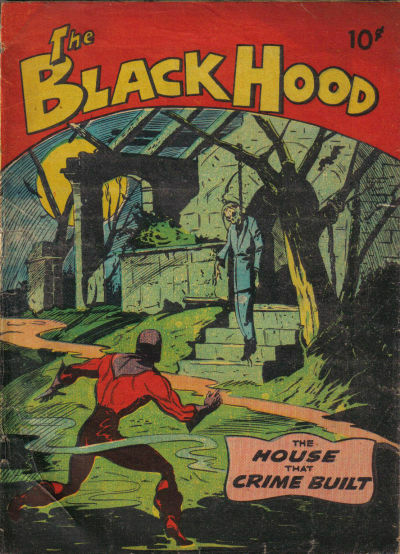 The Black Hood, Clem Weisbecker with Gil Kane (possibly) inks, ca. 1944 (Canada). This was a contender for my Number 1 cover. I love genre mixing and adding this horror style to a superhero character is a lot of fun. If this is The House that Crime Built, then it’s true when they say — “crime doesn’t pay.” What a dump. On a technical note, the colors on this are just perfect! 2. 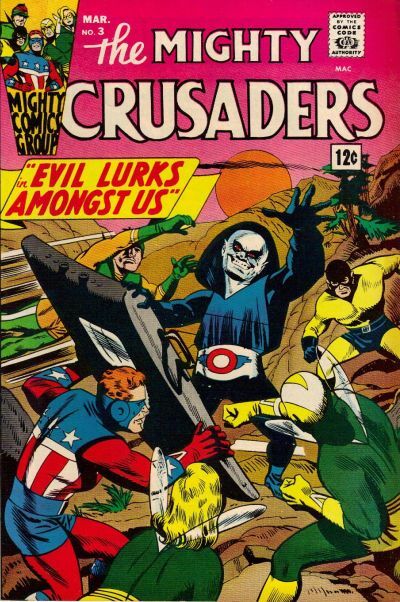 The Mighty Crusaders #3, Paul Reinman, 1966. I like simple and direct cover images, cool-looking bad guys, and dynamic poses. This wins on all counts. I have no idea who this baddy is, but I like him! Also, where did Shield get a door? They’re in the middle of the woods! I smell underground base! 1. 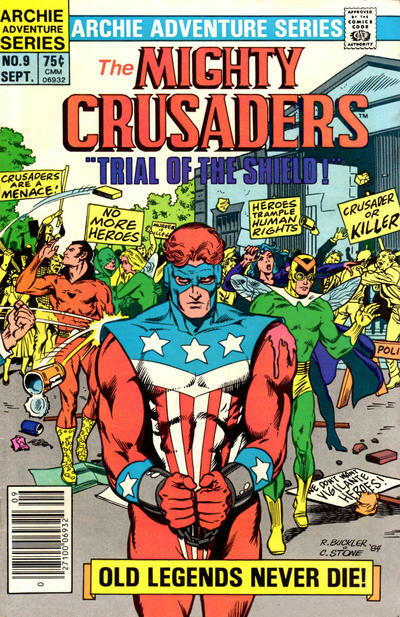 The Mighty Crusaders #5, Rich Buckler and Tony DeZuniga, 1984. Finally, we come to my favorite cover of the lot. We got animals, strange cosmic energy and weirdness, but the colors are so perfect I just can’t take my eyes off it. I have no idea what this image has to do with the title, Sacrifice Play, but I want to find out. MORE: For 13 THINGS You Need to Know About the Mighty Crusaders, click here. NOTE: All dates are pub dates. Credits and most scans courtesy of the mighty Grand Comics Database.